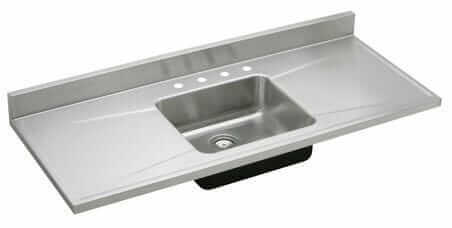 Please see my May 2, 2016 story, Understanding potential lead hazards in old porcelain enamel bathtubs and sinks and ceramic tile of any age; this article focuses on raising awareness around three other potential sources of lead dust exposure in your home – old porcelain enamel bathtubs and sinks and ceramic tile of any era — and steps you can take to assess and, if required, address them. My research for this story also indicated that lead glazes may still be used on ceramic tile to this day — see the story for more information so you can do your own research on how to proceed in your hunt for tile and in completing your project. Another note on safety / durability / installation issues, etc. : Check the tile you are considering for its use specifications. That is: Is it recommended for only walls, or walls and floors, etc? I am not an expert. It’s my experience that 4x4s were commonly used on vertical walls — but they may not necessarily be recommended for flooring applications. So, if you are considering these tiles for flooring, check with the manufacturer regarding whether the particular line you are considering is recommended for that use. Consult with your own pros. B&W Tile has historically been our #1 go-to place for new 4×4 tile made today because of their expansive vintage color selection + they can make all the bullnose and other accent pieces. Here’s their site –> B&W Tile has been making ceramic tile for more than 60 years — so they have authentic retro colors, including pink. Clay Squared, a company in Minneapolis, also sells the B&W line. Prices may differ depending on where you buy. Note Jan. 2018: B&W was sold last year and has a new owner; some designs are discontinued, but manufacturing and retail operations continue out of their Gardena location. See this story for the update. Classic Tile New York — Good retro colors, relatively inexpensive prices at Classic Tile New York. I talked to a salesperson there, he said many of these colors are from U.S. Ceramics — they must have a special deal, because I don’t see them elsewhere on the www named per se (although see “Big Box stores” below). Daltile — Daltile is probably the largest brand name in tile in the U.S. — and always a place we’d look. If you can find a color you like, you might be able to buy it via your local big box or tile store — and not be charged shipping. They seem to have a number of collections that include 4×4 ceramic wall and counter tiles. The colors change regularly, so check them all. Collections include Semi-Gloss and Matte, which seems to be the #1 go-to collection for retro pastel colors, for example, including readers’ favorites Aqua Glow, and Spa is a lovely Heron Blue too… also look at Festiva … and Natural Hues has a large palette, although not all colors are available in 4x4s. American-Olean — AO is owned by the same company as Daltile, and they may share some of the same colors just with different names, but they also may have some of their own colors. But honestly, trying to compare sends me cross-eyed. Their collections with 4×4 squares include: Bright … and Matte. Big Box stores — You can typically find white and bisquit colored 4×4 bathroom tiles at the Big Box stores for under 20 cents each. The last time I was just at the Home Depot, the tile they seem to be carrying as 4x4s was from U.S. Ceramic Tile Co. White was in-stock on the shelves…. and they had a sample board with other colors, the s.f. price was not listed — ask an associate. When I renovating my bathrooms several years ago, I found rose beige at the Home Depot, trimmed it with white bullnose, and it looks smashing. Longtime local tiles stores — It could be that you have one or more tile stores in your area that have been around for decades. If so, ask them if they have any deadstock in their backrooms or warehouse — if they do, you might also be presently surprised at the great price they give you to take it off their hands. For example I got an email in 2018 from Suburban Tile Inc., Freeport, NY, that they had “old stock from the 1930s thru the present day. American Olean, Atco, Cambridge, Wheeling, National, etc. European products from the 60’s,70’s,80’s,90’s, into the 21st century.” Another reader mentioned Tile Outlet Chicago. Tile Daily tells me (Jan. 2018) that they have at least one palette each (that’s about 300-400 s.f.) of new old stock vintage left in more than a dozen colors; thanks, Benji, for the tip. You get the drift — check your local stores that have been around awhile! Re-Store Habitat for Humanity — I added this because every year I seem to hear from a few readers that they have found enough tile at their local Re-Store to do a complete bathroom. Tile contractors — and tile stores cleaning out their back rooms and warehouses may cart their extra New Old Stock straight to the ReStore. Note, going this route might present extra hurdles because 4×4 bullnose (if you need to handle turning any outside corners) and 2×6 bullnose pieces (to handle top of walls) etc. may not be included in the leftovers. Think through what you need very carefully before you buy. Modwalls Tile — Added to our list in Aug. 2017, modwalls offers ceramic tile in 75 colors, including 4×4 field tiles and all the trim pieces too. They have quite a large selection. Thanks to Cindy for this tip! 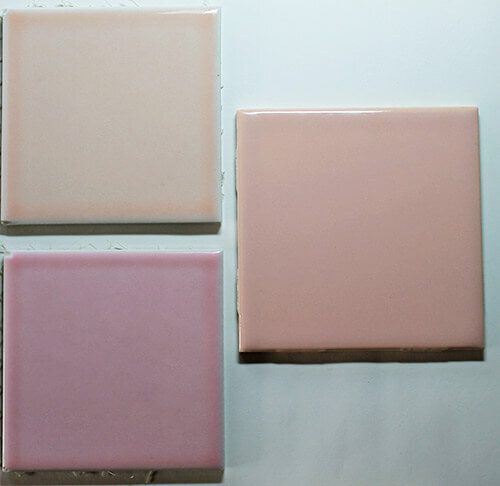 American Universal Tile — The Brittany line –> http://www.auc-tile.com/catalog/brittany_misty4.html –looks to have some good pastel color choices. Nemo tile — See Metrowall collection of 4x4s — http://www.nemotile.com/tile/product/metrowall/ — it looks like you can do mixes of 4x4s in their Anthologia line. Rebecca used Nemo tiles in her gorgeous bathroom remodel. Roca Tile — Thanks to reader Lynne for tipping us to Roca Tile — http://rocatileusa.com/collections/color-collection/ — which over time seems to have introduced more retro choices. They carry a big line of trim pieces, too. Olympia Tile — Olympia tile is a Canadian-based company, but they have some distribution in the U.S. (See their location map.) I used their heron blue tile in my blue bathroom renovation (although I think this color is now discontinued.) They now look to have one collection of 4x4s with a few possible retro colors — http://www.olympiatile.com/product/series/120/colour_dimension_series –namely buttercup, tender gray and periwinkle. Interceramic has some 4x4s in their IC Brites collection. Thanks, Susan, for the tip! Pratt & Larson has 4x4s in a large selection of colors –http://prattandlarson.com/colors/glazes/parchment-matte/ Thanks, Veronica! 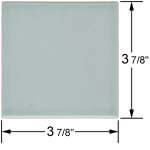 Fireclay Tile has 4x4s in a large selection of colors. Thanks, Denise! Heath Tile is a storied tile maker. They offer 4×4 field tiles in a lot of colors, very artisanal. Thanks, CJ! 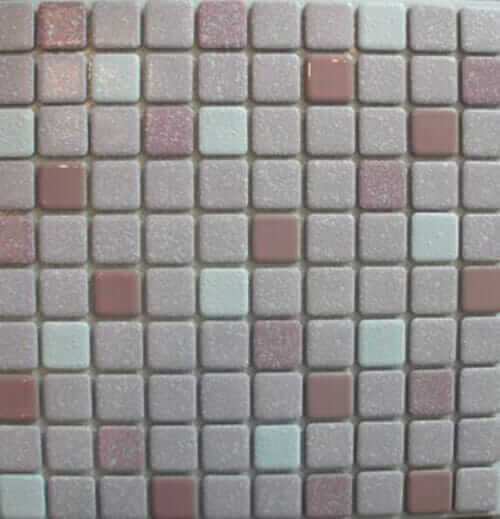 Mission Tile West has pastel colors that can be special ordered in 4×4 field tile sizes. See their Revivals page here. Also check out their coordinating liner tiles. Sonoma Tilemakers makes 4×4 field tiles in light pastel colors. Thanks, Robin, for the tip! Heritage Tile — has flat-edge field tiles in lovely pastels. See the tile here. Added Oct. 2017. Florida Tile — This Kentucky company does not have “colors”, but it has a selection of neutrals in their “Streamline” collection. I will keep them on this list in case they ever add colors. McIntone Ceramics has 3x3s, and they have a chunkier craftsman look, but some of the colors are really nice so I’ll put them out there. Thanks, Ann, for the tip! Replacement American Olean tiles: Thanks to Andy Rosten of Vintage Tile (above) for a tip on where to go to see out replacement American Olean tile: Greenwich Tile and Marble — http://www.greenwichtileandmarble.com/#dtile. On their website, they say, “carries the largest selection of discontinued American Olean tile from the 1940s – 1990s. Andy Rosten says he may also have vintage American Olean tile. So, you could also check both sources including for best prices. (affiliate link) tends to source New Old Stock. Note: Ebay vendors of occasional finds, don’t leave your links in comments — there are too many and they come in go. I’d rather leave it general like this. Latch Tile in San Francisco says they offer vintage replacement tile — http://www.latchtileinc.com/ Thanks, David, for the tip. Other sources for hard-to-find replacement tiles: Readers have reported success asking neighbors, who may have renovated or be renovating and have a the color they need — and whose house may have tile original purchased from the same place as yours. You might also need to “borrow” tile from your own bathroom, taken from someplace inconspicuous and reinstalled in a more visible spot; if you take this route, get with your own professionals to assess what you are working with before proceeding; remember to Be Safe/Renovate Safe. Again, see this story:Understanding potential lead hazards in old porcelain enamel bathtubs and sinks and ceramic tile of any age. And, check use specifications for the tiles you are considering. Before you begin your search for replacement tiles, it is important to note that not all 4″x4″ ceramic wall tiles are created equally. Depending on the manufacturer, age of the tile, etc., tiles may vary in their actual measurements. 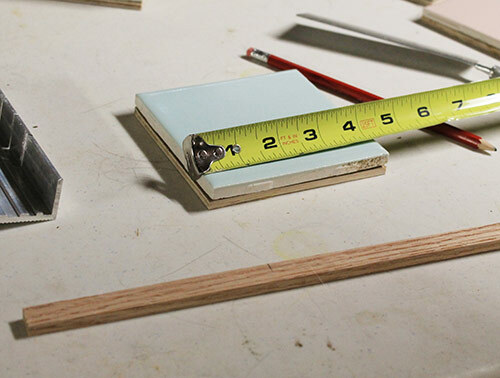 So-called 4″x4″ tiles might actually measure 3.75″x3.75″ or 4″x4″ or 4.25″x4.25″ square etc. 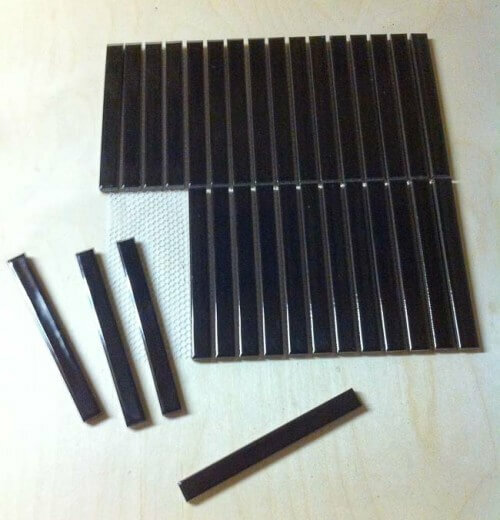 There also could be variations in the thickness of the tile. Make sure you know what size and thickness your original tile is before you start searching to avoid buying tile that will not fit in your bathroom. Also, if you will be heading out to search through piles of salvaged tile, take a small piece of your tile with you to make color matching easier, if possible. Readers, if you know of any other manufacturers/retailers of any other lines of 4×4 tiles, please leave them in a comment. Thank you! 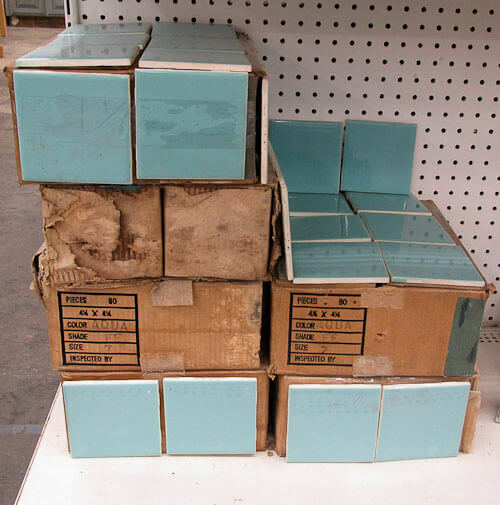 The Nemo Tile Metro collection also comes in “retro” colors, like pink, seafoam green and blue. Yes, that’s the first link in the bullet. I will make it clearer, thank you! We check the restore often, and found a box of the dreamiest burgundy vintage tile. Unfortunately it isn’t marked and it’s not enough to do our entire bathroom. I don’t know who made the shade and am constantly searching for a match! By ‘smaller vendor,’ they mean retailers (like local nonprofit salvage stores) who can’t afford the whopping ad rates of the slick retail world, and thus go unnamed. Probably just as well, since it’s that kind of attention that drove World of Tile out of business. I met Chippy once and she looked ready to jump in front of a train, dealing with all the desperate phone calls. 1) the numbers on the back of your tile are NOT color codes. 6) you will need to do this research (and measure as Pam says) BEFORE you begin your search. Please consider that those of us who do this work get buried with requests from people seeking fast/easy/perfect matches, who don’t mind spending all my time searching the stacks for them while they sit at home. If we charged enough to make it worthwhile, no one would ever buy the tile! We don’t let people browse the stacks because most customers will destroy any organization in about 30 seconds (see Home Despot’s tile aisle, where they only carry 2-3 colors in store, and multiply that mayhem by dozens of brands/dozens of decades/dozens of colors). This is not the Tile Library of Congress- if I put all the greens side by side I would have to move hundreds of boxes down six inches every time a new one came in. The more specifics you can provide, the more efficient your search becomes. You can see why having a brand and a color name allowing you to use a search engine is the most powerful tool you have! Thanks, I will add them to the list, as I do see they make 4x4s!